A son is one of the sweetest gifts that life can bring, but it can be hard to figure out what to write him on his birthday. 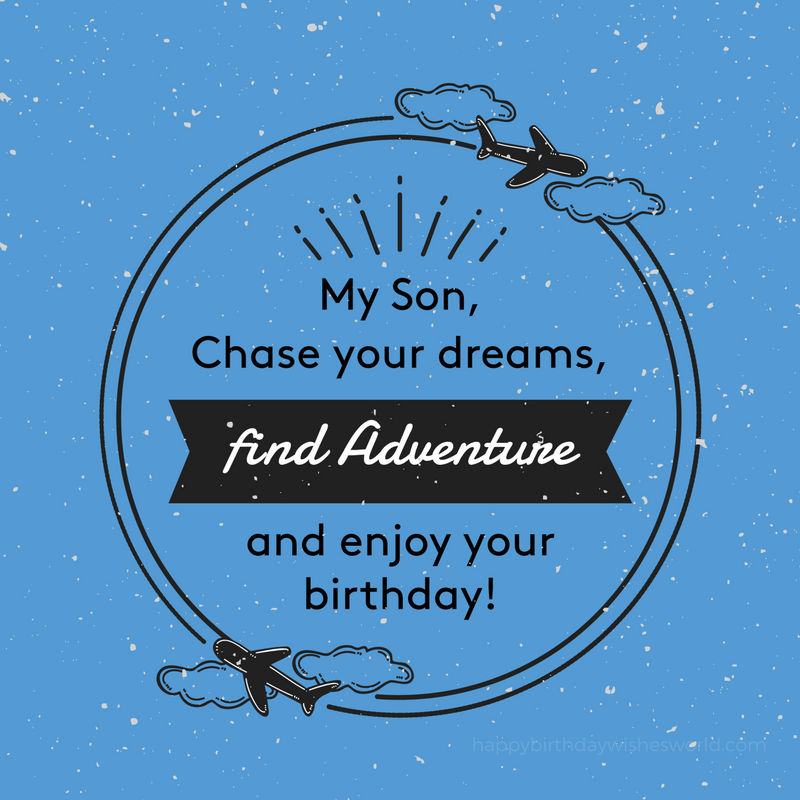 That’s why we’ve put together this list of 120 birthday wishes for your son. It’s important to show your son how much you value his presence in your life, and one of the best ways to do so is with a thoughtful birthday message. While there are many different ways to convey your feelings, the best messages have one thing in common, they show him just how much he means to you. I am the happiest person in the world because I have a son as wonderful as you. I wish you the very best until the end of your days. May everything you wish to accomplish come to pass. No matter how many birthdays come and go, you’ll forever be my pride and joy. No other could ever take your place in my heart. You bring me everlasting joy and affection. Happy birthday to the apple of my eye. My love for you is far greater than my heart could possibly hold. I am so grateful that I have such a wonderful son and that you always manage to make me look like a good parent! You are a beloved son and a cherished father. I know that you are as proud of your son as I am of mine. 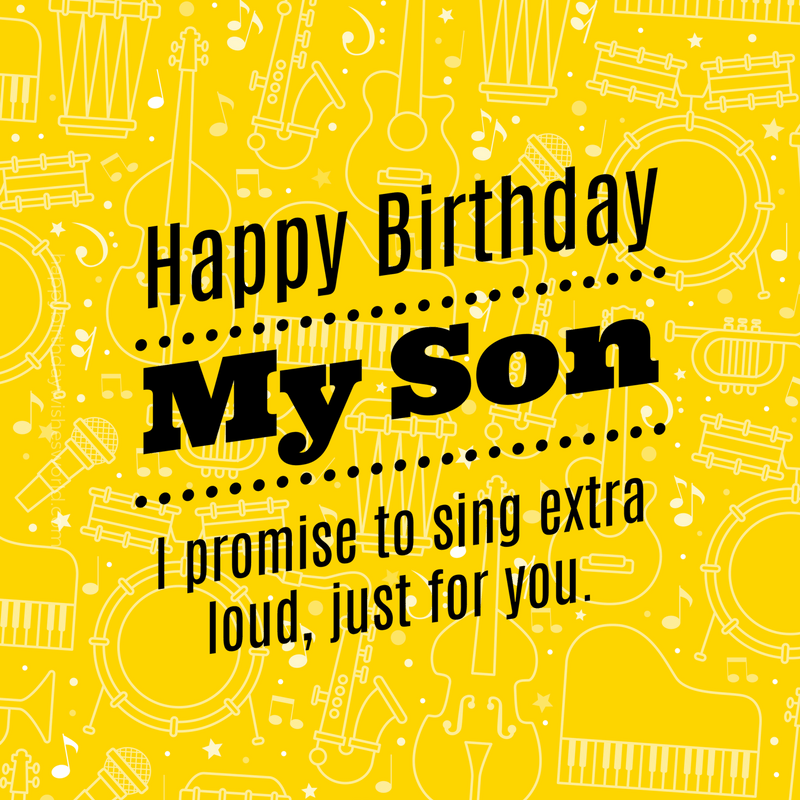 Try to make sure that you keep the family tradition of pampering your son on his birthday alive in the years to come. You are more than my pride and joy; you are the reason I strive to be the best that I can be. I want to work hard and set a good example for you so that you are as proud of me as I am of you. I know you probably think that my main mission in life is to ruin yours, but I promise that I only want the best for you. May you have unlimited successes and untold happiness this year. You have made my life more meaningful and poignant, my son. 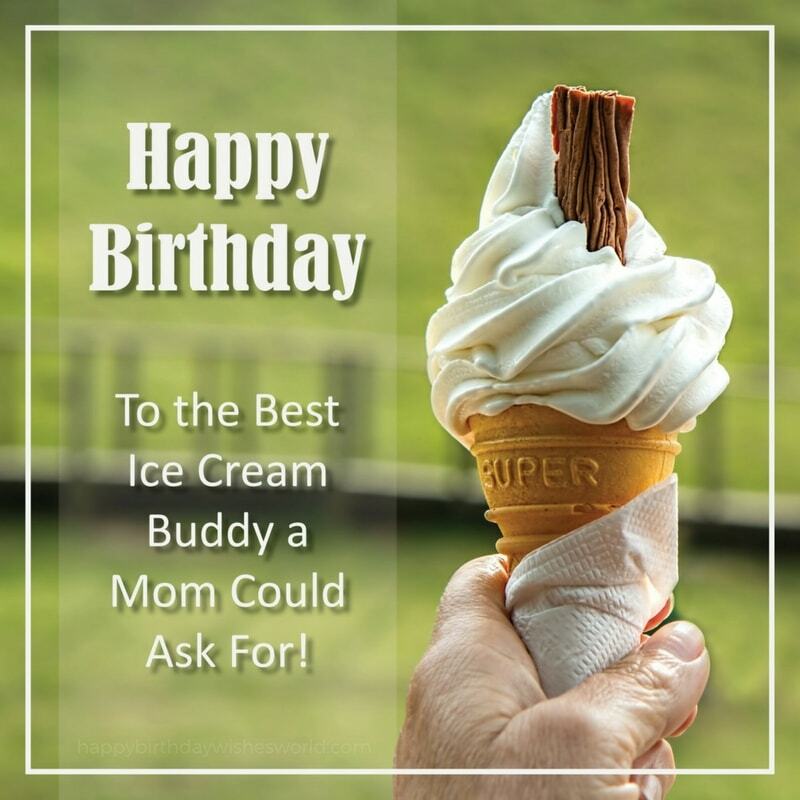 May your birthday be filled with lots of gifts, candies, and ice cream. Happy birthday! You are one of the most beautiful things to ever happen to me, and I am so grateful that I am blessed with you in my life. May every dream you have be fulfilled this year. When you were born, you were a little bundle of our future hopes and dreams. Now that you’re older you’ve surpassed everything we could have ever hoped for. Happy birthday to our overachieving son! You are my greatest treasure, my son, and I know I don’t tell you often enough how much you mean to me. That’s because it’s hard to sum up the feelings a parent has for their child, but I’m going to go with: I love you. Your love always brings a smile to my face and glee to my soul. May your birthday be just as special as you are, my son. Happy birthday! This year you seem to be exhibiting some signs of actually growing up. It’s a miracle! I’m just kidding, and I hope that your year is filled with all sorts of splendidly childish things that captivate you in every way. I wish I could slow down time and keep you with me forever. Since I can’t do that, I will just have to settle for cherishing every moment spent with you. Happy birthday! You bring everlasting light into my world. I hope always to be able to provide you with unlimited comfort and love. Happy birthday to my son who deserves that and so much more in life. When you were little I was full of instructions for you: do this not that! Now that you’re older I have one more that’s really important: have a wonderful birthday! There are so many things I would like to give you for your birthday: balloons, toys, and cake are just a few. At the top of the list would have to be my limitless love. Whenever I need a reason to smile, I just think of you because you make everything in my life more beautiful. May your special day be truly extravagant. Happy birthday, son! There is no limit to how much I love you, and I plan on spending the rest of my days showering you with love and attention. May your birthday be filled with fondness and fun this year. Son, every year I see more and more of myself in you. I want you to know that I am equally sorry and proud of that fact! Happy birthday to my mini-me. Having a son as astounding as you has been one of the greatest delights of my life. You are everything a parent could hope for, and I wish you every success and gladness this year. You have grown in the blink of an eye, my son. Not only in height but in maturity as well. 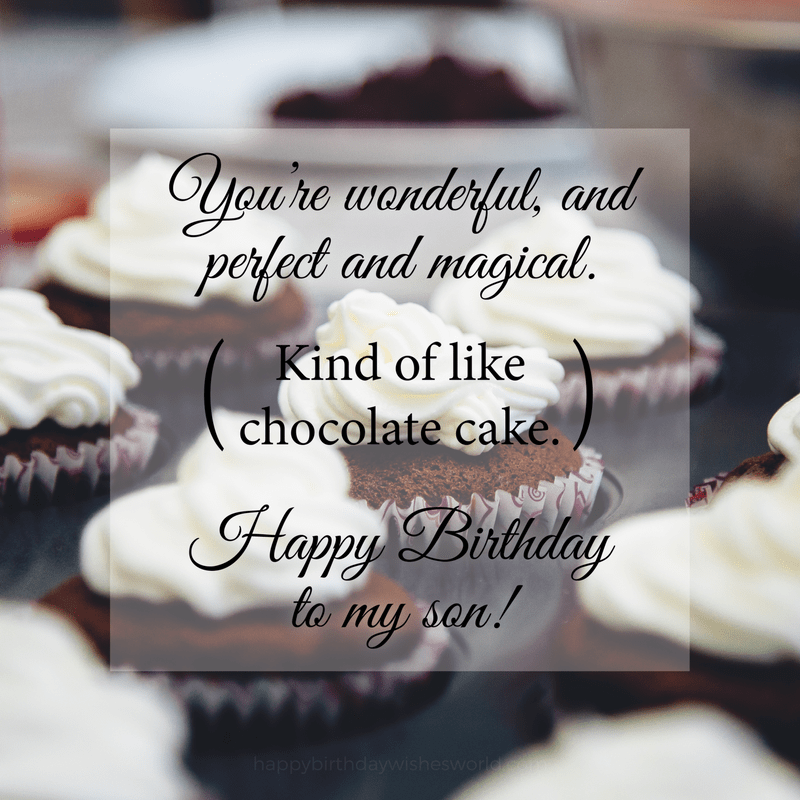 Happy birthday to my taller, wiser, infinitely more lovable son! This birthday is the perfect reminder for you always to strive to climb every mountain set before you. Someone as dedicated as you can always do what they set their mind to. This year may you conquer every fear and win every battle. Know that no matter what happens in life I will always be there to cheer you on and support you. There is no endeavor that you could undertake that I wouldn’t be proud of. My heart has been so full of love and joy ever since you were born that sometimes I think it will burst. It’s hard to contain all the feelings I have for you son, and on your birthday I hope you feel even a margin of how much I love you. As you welcome another chapter of your life, I hope you embrace it with passion and determination. A son as marvelous as you definitely has great things ahead. When I think of you, the first thing that comes to mind is the immense love and pride I have for you. It knows no bounds and has no equal. You are everything to me, my son. You fill my day with lots of happy moments and incredibly precious memories. I look back on my time with you with nothing but absolute satisfaction and delight. Happy birthday, son! Nothing has been the same since you came into my life, and I want you to know I wouldn’t have it any other way. I am so grateful that you have changed my life for the better. This year for your birthday it seems our roles are reversed. Instead of giving you a present it seems you have gifted us with one, the gift of a perfect son. Happy birthday! Today is your big day, and I hope it is filled with awe and grandeur. I think the world of you, and I want your birthday to be as perfect as you are. I hope you face the world with positivity and courage, my son. May everything you want in life come to you this year. Happy birthday! I hope you know that I will always love you no matter what the future holds. Even if you crush all my hopes and dreams like you crushed my car, I will still love you. I might just love you a little less though. Just kidding! Sending the most loving wishes to our phenomenal son this year. May your birthday be filled with good times spent with even better friends. 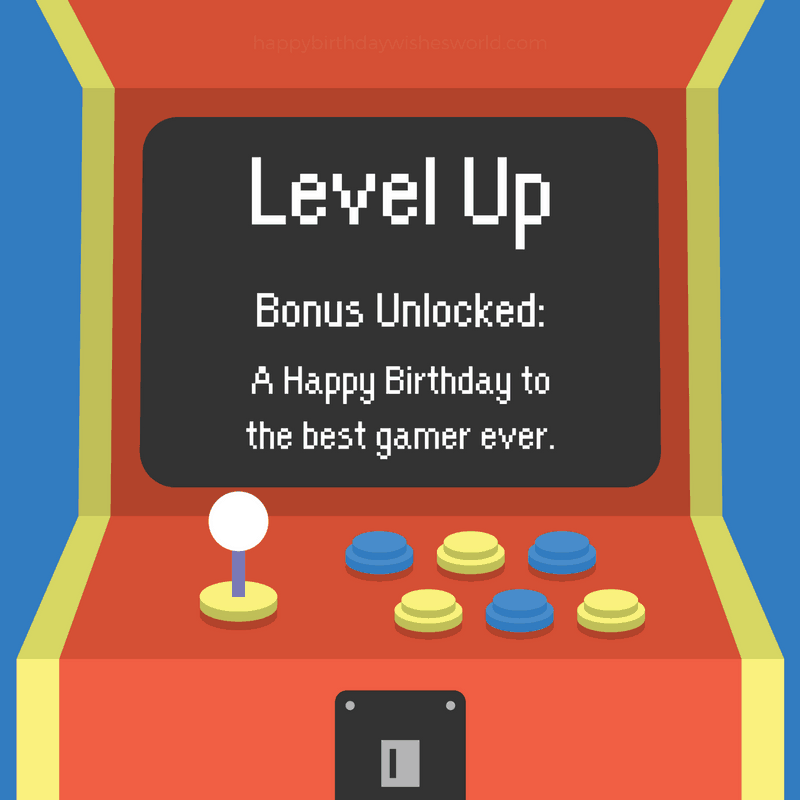 Happy birthday, son! I thought I had the perfect life and then you came along. Then I realized I had no idea what perfect was until I was blessed with a son as beautiful as you. I hope you are half as proud to be my son as I am to be your parent. Know that I am your biggest fan and your greatest protector in life. Happy birthday! When you were little, I vowed always to protect, care for, and love you. Somehow over the years, our positions have been reversed. Now you protect and care for me, but I will still always love you. Our relationship may not have always been the smoothest one, but it’s always contained love and respect so we will get there in the end. Happy birthday to my son who tries my nerves but always earns my respect. You continue to amaze me with your ability to spread kindness and generosity to everyone you meet. To be honest, I’m not sure where you got those qualities, but I am so thrilled you have them! May your birthday herald great successes for the rest of your life. I want you to know that you are my biggest joy and greatest pride. Happy birthday, son! May your birthday remain forever in your heart as you do in mine. A son as precious and wonderful as you is a true gift in life. Happy birthday to the world’s greatest son! 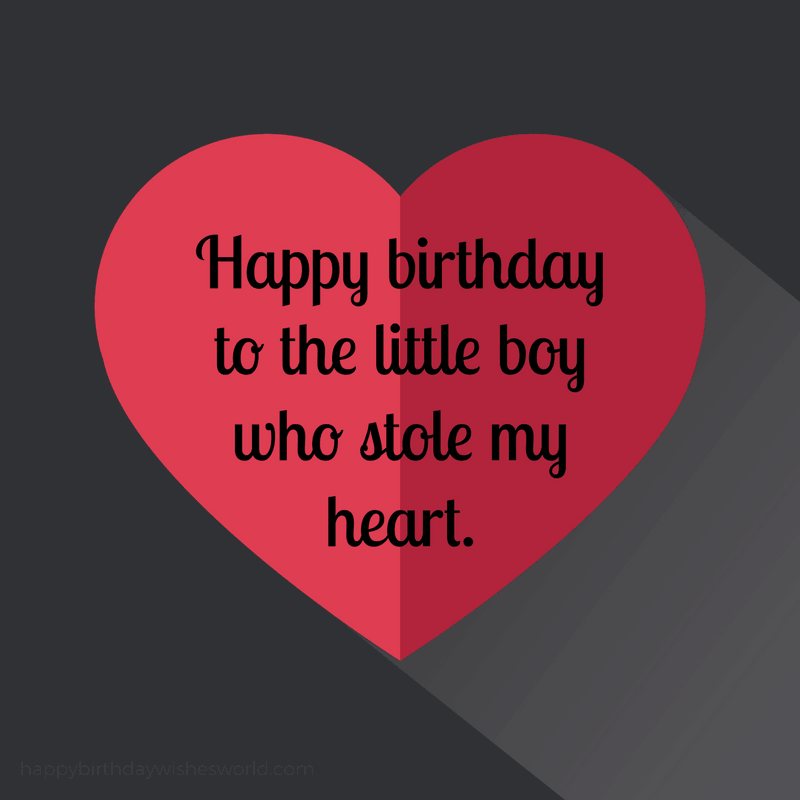 Looking for more happy birthday images for your son? So you got to the end of our birthday wishes for your son list, but don’t leave yet, we’ve got plenty of other birthday wishes to choose from! Happy Birthday Cousin Wishes – There’s a good chance you have cousins, and if you do, they have birthdays. Give them a great birthday wish! Ways to Say Happy Birthday Nephew – We’ve also got birthday wishes for you brother or sister’s son as well! Birthday Wishes for Your Wife – You’ve wished your son a happy birthday, but don’t forget about your wife! 215 Ways to Say Happy Birthday Niece – And we’ve got more than enough birthday wishes for your niece too.